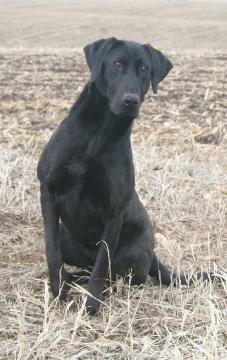 Hope is a very talented 65lb black (chocolate factored) female. She has a ton of drive but has very good manners with a great on/off switch. Hope comes from a long line of proven hunt test/field trial dogs and it sure shows. 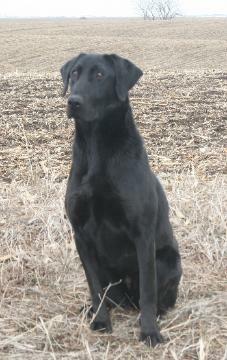 She is a titled Senior Hunter in the AKC and is one of our most talented females. She is a fantastic mother and very genetically sound. Hope is great with other dogs and is excellent around children. I can't say enough good things about Hope and we are very excited about this breeding. These pups will be a perfect fit for anything from a very competitive dog, to an excellent gundog or just a great all around family dog.